If you've been reading my previous posts, you'd figure that I have a passion for desserts. 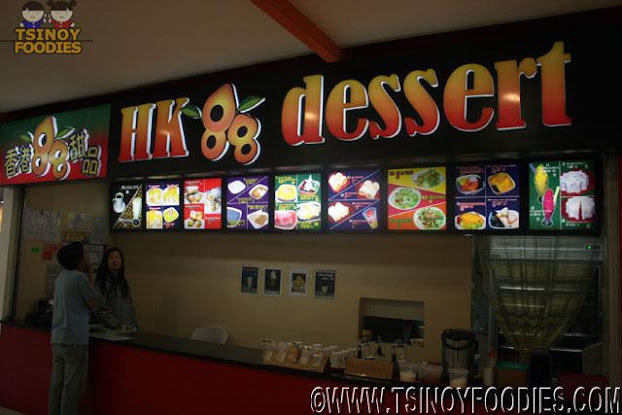 So, when we Tsinoy Foodies saw HK 88 Dessert at the 999 Shopping Mall Food Court, we simply can't pass up the chance to try. HK 88 Dessert does not only offer salads, but they have beverages and salads too. But, of course, desserts are their primary line. 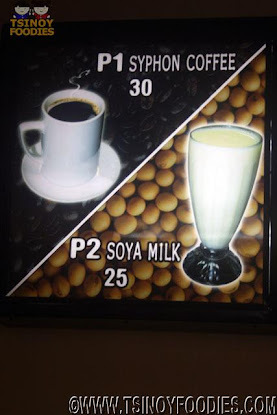 They have so many choices to offer that we had a difficulty in deciding which to order. 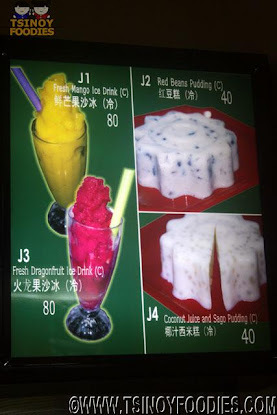 Although the Black Pearl Sago Dessert with Italian Style Herb Jelly is still visually appealing, I can't help but notice how different it was from its colorful menu counterpart. I find it pretty refreshing. 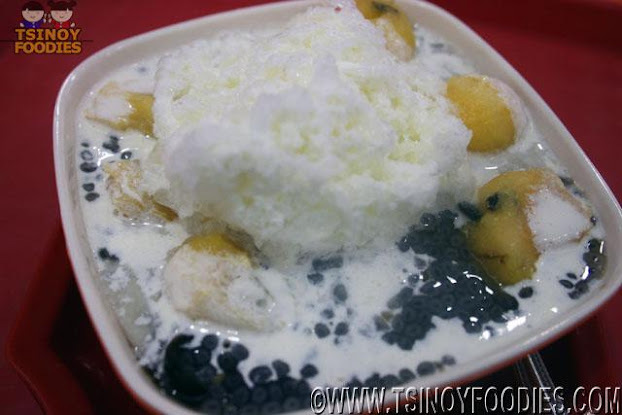 It has melon balls, fruit seeds, jelly strips, coconut milk and crushed ice. I enjoyed this. 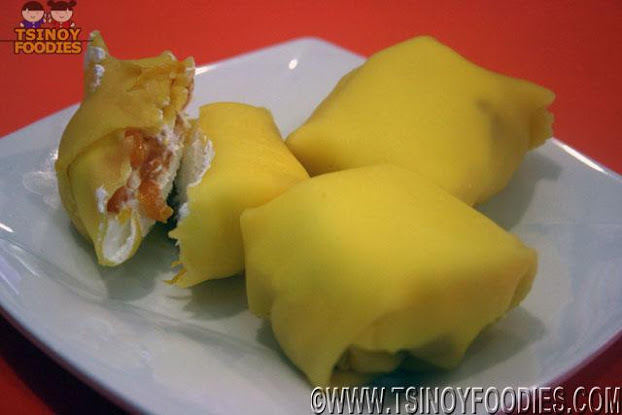 Fellow Tsinoy Foodie Kurt chose the Mango Pancake since pancakes were the recommendation of the Chinese proprietor. Upon tasting it, he said it tasted like Durian so he didn't want to it eat. Although I'm also very satisfied with my order, I had to finish this or it would be a waste. The Mango Pancake had a thin and smooth crepe-like shell with light cream and real mango bits in the middle. It was pretty good but surprisingly very heavy to eat. The whole thing had a scent and slight taste of Durian as if they were refrigerated together for a long time. It didn't bother me since I love Durian and find it quite fragrant. 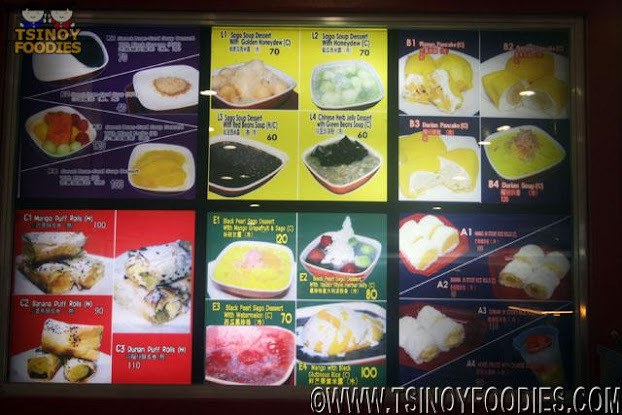 HK 88 Dessert serves a lot of authentic Hongkong desserts at an affordable price. They have a great way of incorporating fruits into desserts. 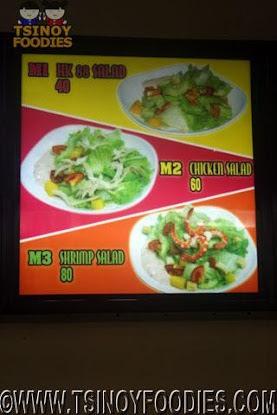 We'll definitely come back and try their other offerings. Moonleaf Tea Shop: A Different Brew? Pipino Vegetarian Food by Pino: Genuinely Good!